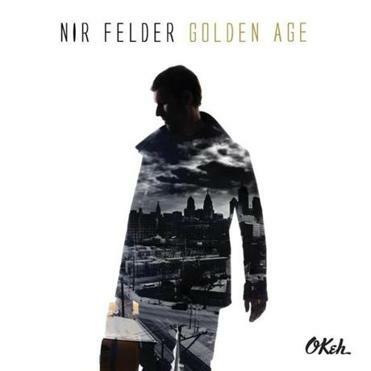 Progressive-jazz fans might immediately be drawn to the busier, sharper angled pieces on guitarist Nir Felder’s Okeh/Sony debut, where Felder gets to show off his amazing chops. But “Golden Age” is more about songs than solos. Felder’s affinity for indie rock and Americana puts him in a camp with Jeremy Udden, the band James Farm, or the Brian Blade Fellowship. His bandmates — pianist Aaron Parks, bassist Matt Penman, and drummer Nate Smith — are of a similar mind (Penman is in James Farm). So the off-center chords and steady beat of opener “Lights” could make you think of Sonic Youth in a quieter moment. But the album gains heft and texture: the gradual build of “Code,” the slow-moving chords and nervous drum chatter in “Sketch 2,” the undulating riff of “Before the Tsars.” Spoken-word samples add to that chatter on a few tracks, historical context for our current Golden Age. It’s hard to say what they add, but they don’t interfere with Felder’s mesmerizing flow. Jon Garelick can be reached at jon.garelick4@gmail.com. Follow him on Twitter @ jgarelick.